This post should not be treated as an advice to use iOS devices as a cryptocurrency mining machine. That can destroy the battery, fry the CPU/SoC, ruin the system’s responsiveness etc. This is a purely academic research driven by sheer curiosity. Since I got my hands on the latest iPad, I was eager to write something to check horsepower of that machine. Thanks to the recent bubble of cryptocurrencies prices, this ridiculous idea appeared. Of course, there’s no sense in trying to mine bitcoins or similar currencies since CPUs can’t compete with specialized solutions like ASICs in mining those. On the other hand, cryptocurrencies based on CryptoNote, like Monero(XMR ticker), have memory-bound properties which make them hard to crack on tiny dumb devices. That brings at least some amount of sense into solving these crypto puzzles on CPUs. I chose the XMR-STAK-CPU mining software, which is available in a source code, to try to run on iOS, first in a simulator and the on a real device. As part of this porting experiment, I aimed to keep the original source code untouched and to use the files right out of the repository. Oddly enough, the endeavor was successful and within a few days, I got a complete solution. Challenges of porting and the outcome are described below. The source code of xmr-stak-cpu contains tons of SIMD instructions. Fortunately, there’re no inline assembler instructions and all calls are made through _mm_XXX intrinsics. That means it’s possible to mimic these calls with C-style functions and macros. The same applies to the data type definitions. Thanks to the SSE2NEON project, the lion’s share of the work is already done and I basically needed only to properly fiddle with the source code. A trick with a precompiled header was used to do it: when the source was built for a real iOS device – SSE2 was mimicked with NEON and the original includes (<x86intrin.h>, <intrin.h>, <immintrin.h>) were suppressed by defining theirs include guards in advance. Nothing was substituted for iOS Simulator builds since it runs on an x86 machine and there’re no NEON instructions there. But of course, that could not be absolutely smooth. 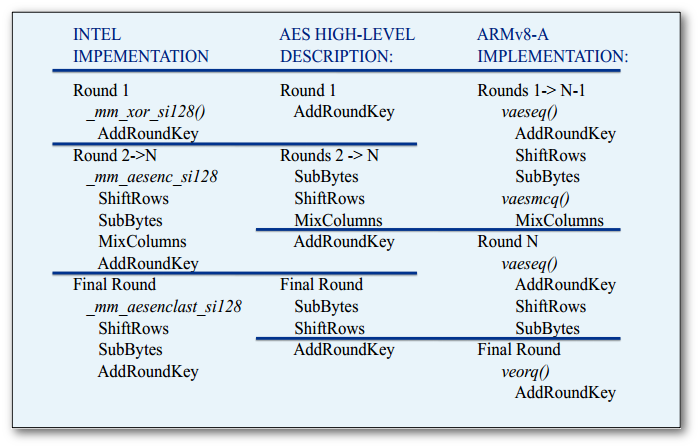 A couple of x86 instructions was missing in SSE2NEON: _mm_prefetch, _mm_set_epi64x, _mm_cvtsi128_si64, _mm_aesenc_si128 and _mm_aeskeygenassist_si128. _mm_set_epi64x and _mm_cvtsi128_si64 are trivial to implement on NEON with 1:1 mapping to SSE. _mm_prefetch is a bit trickier since Intel and ARM have a different approach to controlling of the prefetch instruction and there’s no 1:1 mapping between those. I ended with the __builtin_prefetch(p) intrinsic to mimic _mm_prefetch, which is only a rough approximation. 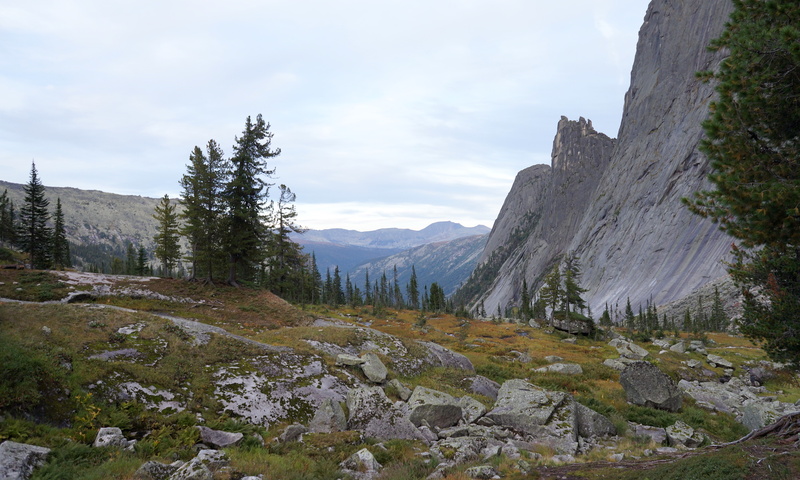 – Creation of a background task upon switching to background mode via UIApplication.shared.beginBackgroundTask and the consequent creation of next tasks in the expiration handler. – Infinite looped playback of an empty sound file at the same time. I used this solution as a starting point and made a few performance-wise tweaks after. This hack lets the application to run indefinitely long and prevents it from putting to sleep and closing its network connections. During my tests, it was absolutely fine to leave the miner app working for 12+ hours and that didn’t lead to any terminations or suspensions or connections droppings. 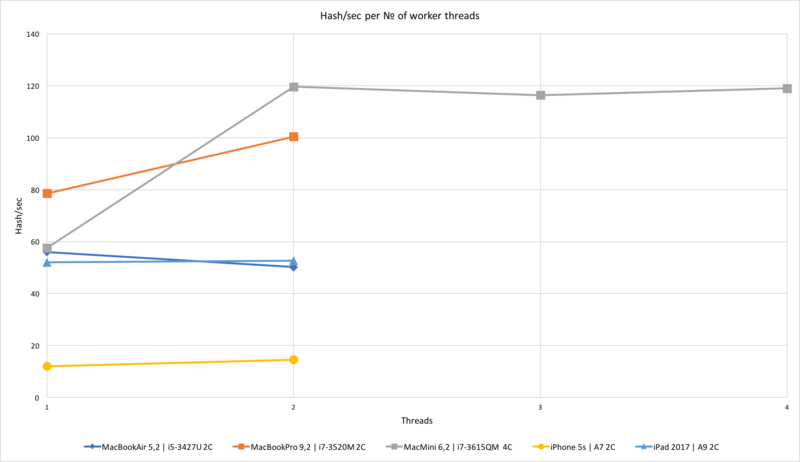 I benchmarked the performance on three Macs from 2012 and two iOS devices. To be fair, all of these Macs have a “notebook-level” hardware and it wouldn’t be correct to make assumptions about “desktop-level” Intel CPUs based on the gathered data. The tests were run with low_power_mode=false and no_prefetch=true flags, during at least 15 minutes. The results were surprising – despite the usage of an almost brute-force method of instructions translation and lack of any hardware-specific optimizations made for Apple CPUs, iPad 2017 showed pretty solid performance. A9 shows the same hashrate as Core i5-3427U, which itself cost $225 when it was introduced in 2012 (A9 was introduced in 2015) and has a TDP of 17W (A9 has about 4W). This graph also clearly shows the memory-bound limitations of CryptoNote. The source code and build instructions are available in this repository.